Take advantage of the promotion of these days. 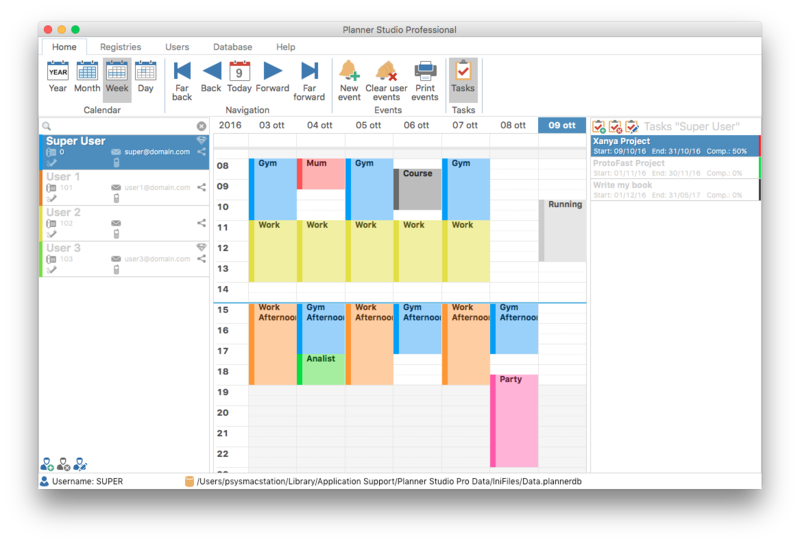 Planner Studio is a calendar management software for multi-user platform. You can connect more than Planner Studio workstations on the same database so you can share calendars. 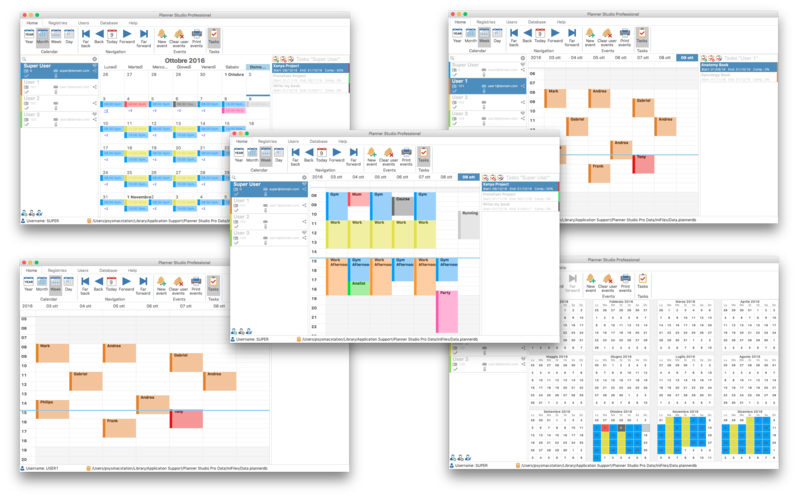 An example of use could be an associated studio where the reception is the super user that controls and manages events (in this case, appointments) of all offices, and where each office is a normal user who can only manage their calendar. In this way every call the reception may occur and insert new appointments without having to ask for confirmation to the offices. And so even the offices will meet appointments preset from the reception. - Medical studies, where the reception (super user) inserts appointments for different doctors (normal users). - Offices, where the office manager (super user) inserts the activities of their employees (normal users). - Schools, where users become the classes and events the courses, and then you can set the various courses for each class. - Hotel, where users become the rooms and events would indicate whether rooms are occupied or not. 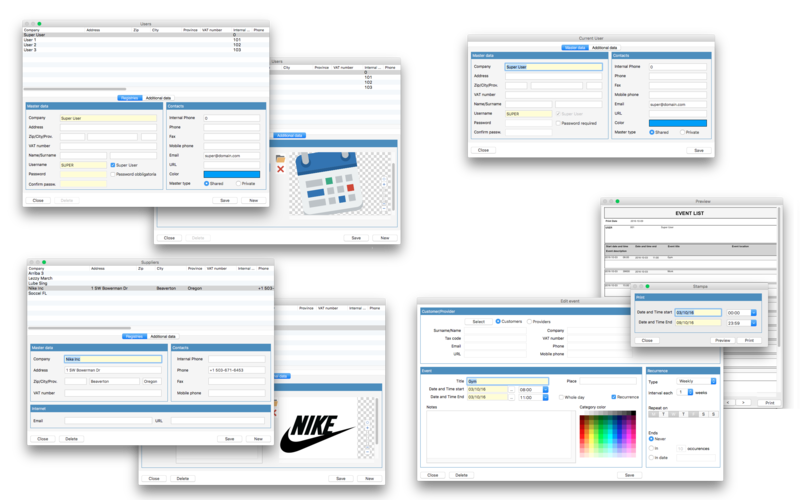 As mentioned Planner Studio manages the calendar in multi-user platform. There are two types of users: Super Users, and Normal Users. The Super User (who may also be more than one) can manage calendars of all users, more himself. 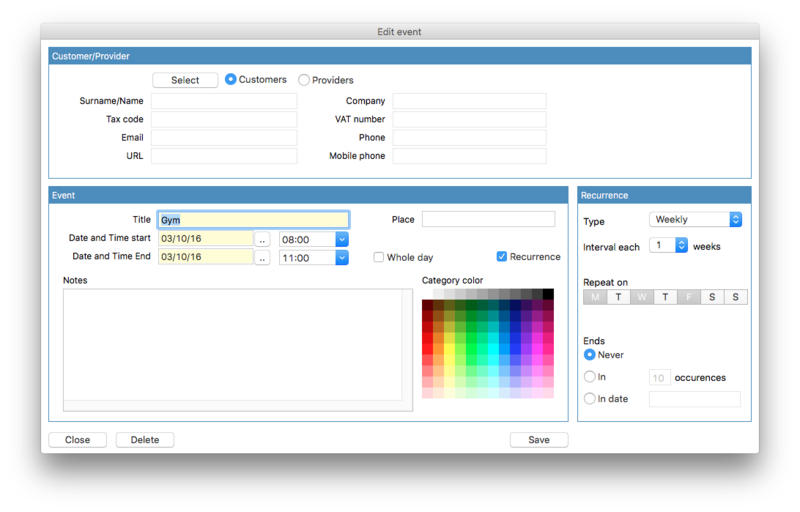 A Super User can monitor all other users inputting, editing, and deleting events from calendars. A Super User can also add new users. The Normal User can only hear your own calendar and your own data.